Paris, 1937: Andras Lévi, a Hungarian-Jewish architecture student, arrives from Budapest with a scholarship, a single suitcase, and a mysterious letter he has promised to deliver. 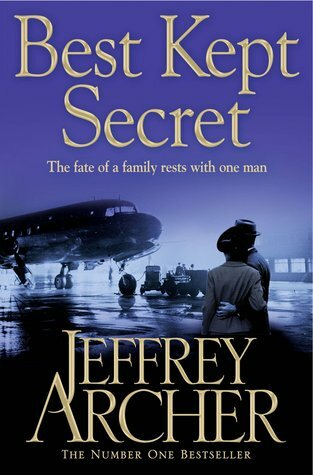 But when he falls into a complicated relationship with the letter’s recipient, he becomes privy to a secret that will alter the course of his – and his family’s – history. From the small Hungarian town of Konyár to the grand opera houses of Budapest and Paris, from the despair of the Carpathian winter to an unimaginable life in labor camps, The Invisible Bridge tells the story of a family shattered and remade in history’s darkest hour. Wow, it has been a long time since I’ve cried over a book. And after a series of disappointing reads lately, this is just what I needed. The Invisible Bridge introduces us to Andras Lévi, an aspiring architect from a lower-middle class family in a small Hungarian town in Konyár who receives a scholarship to study architecture at the École Spéciale in Paris. Just before the journey, Andras meets Mrs. Hász from a wealthy family in Budapest, asking him to deliver a mysterious letter to one C. Morgenstern in Paris. It is in the hands of fate that brings young Andras and the thirty-one-year-old Claire – or Klara – Morgernstern together and inevitably love sparks between the two. We see Andras and his fellow Jewish friends struggles with Anti-Semites sentiments and as the world is on the verge of WWII, Andras is forced to go back to Hungary and soon conscripted to labor camps – working in landmines and railroads – and not as an army because “Jews are not trusted to hold fire arms..”. We read about Andras and Klara’s families and friends – of his brothers Tibor and Mátyás, parents Béla and Flóra, friends Mendel, Rosen, Polaner and Ben Yakov and of Klara’s sixteen-year-old daughter Elizabet, nephew Jószef, her brother György and ageing mother – all their struggles and sufferings brought by the war. Spanning from 1937 to the end of WWII in 1945, The Invisible Bridge is told in a third-person voice so powerful, heart-wrenching and passionate interlaced with architectural and historical details but never too scholarly. It’s a story of love, loyalty and loss, of human depravity and survival. A must read. The train would roll west, through the stations with the window boxes full of geraniums; it would roll west trough Budapest. Then it would roll north, and north and farther north, until its doors opened at Auschwitz. He had seen architectural drawings of this church in its unruined state, its Gothic lines graceful but unremarkable, indistinguishable from those of thousands of other Gothic chapels …… It was like love, he thought, this crumbling chapel: It had been complicated, and thereby perfected, by what time had done to it. This sounds like a beautiful book. I love it when books affect me so much to make me cry. I like your review. This book sounds like a wonderful read, and I wish I had it so I could read it ;) Want!